1.Tell us something about you and your startup. 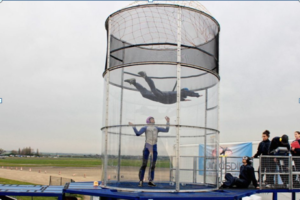 Wefly Indoor Skydiving LLP is India’s 1st and only company engaged in promoting and developing Human bodyflight experience. 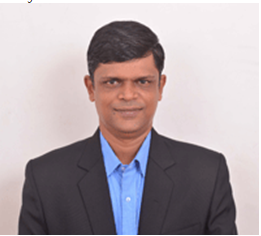 The company is spearheaded by our CEO Mr Amit Patel, whose brainchild is wefly. Wefly was incorporated in 2015 with a primary focus on providing edutainment for the general public and specialised training for armed forces. During 2013, I visited Dubai on a business trip and during that time had an opportunity to experience Human body flight. Once I came back in India, I was very curious to repeat the thrilling activity in India, however to my surprise the sport did not exist in India at all. So I did a grassroot level study of the same and decided that I will take the initiative to bring the sport to India. Post which new partners were intaken to expand the team and raise the required funds for the project. 2.What was your motivation behind venturing into this? Being a proud Indian that Iám, l noticed that most of the developed countries had Vertical wind tunnel (VWT) to train their respective Armed forces. However, in case of India, our Jawans were going to Russia and USA to get trained and also paying a premium price for the same. This had to end. However, the turning point was when I discovered that Pakistan had a (VWT) for the training of Armed forces and India was outsourcing the training. I firmly decided to get the project under the umbrella of tourism and recreational activity to serve my countrymen. 3.Give us a brief background about founders and its core team members? 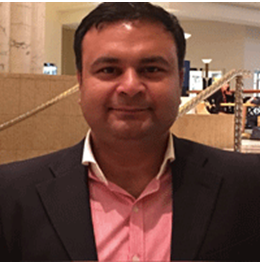 Based in Mumbai, Amit holds a Bachelor’s Degree in Commerce, with major in Economics and Accounting. He has donned many hats—from marketing, sales, business development, public relations, to captaining successful businesses in India, Turkey and the United States. He sees himself more as a creator than an operator. He plans to scale his business up and establish viable indoor adventure sport theme hubs across every India city. Amit eloquently puts across saying: ‘only skydivers know why birds sing.’ An adventure sports aficionado and a gadget-freak, besides he cherishes the dream of making indoor adventure sport a way of life with adrenaline seekers in India. Vaibhav has scripted new success stories for various startups in varied lines of business. Vaibhav says, ‘Your wings already exist. 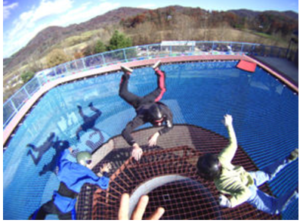 All you have to do is fly!’ He is a keen sport and fitness enthusiast, and an avid adherent of cricket, he also pins special interest in all adventure sports, such as indoor skydiving, skiing, and anything adrenaline. Well as of now, wefly is running a Monopoly business in India, until international competition arrives here. However, we do expect to have competition in near future from India in terms of manufacturing and operations. Wefly is a pioneer in introducing Global sports to India. We understand the feasibility of each product and introduce the same in Indian markets. Currently, Wefly is dealing in over 50 different adventure related activities which are loved and enjoyed by people abroad but unavailable for Indians. 5.What are the revenues and margins like in your industry? The response from the market is mixed and we have a good crowd on weekends and Public holidays. However we are currently looking to tie up with event management companies to take the sport to a new high. Daily revenues are in 6 figures and margins are at 32%. 6.What are your future plans? Wefly intends to provide such edutainment facilities PAN India. Wefly plans to expand this thru their franchise model. Such facilities can be made available in Malls, Halls, Events, Schools, College fests, and many others. We are also looking to tie up with Sri Lanka tourism and South Africa for supplying of machinery. 7.Any advice you want to give budding entrepreneurs.